Are you looking for a European auto repair shop that you can trust to service and repair your car? If you are in the Dallas area, be sure to come by our shop! 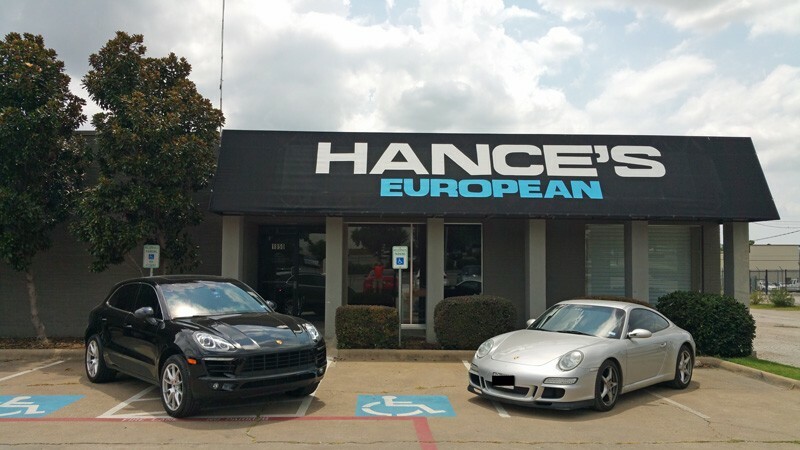 Hance’s European is the premier European Car Service and Auto Repair in Dallas, TX, we are ready to serve you and take care of your vehicle! As a member of the Better Business Bureau, every technician at Hance’s European is held to the highest standards of workmanship and customer service. We only offer the highest quality products, using the best materials and equipment in the business. We are proud to offer a 24,000 mile or 24 month warranty for all of our services, which gives you the peace of mind that you and your vehicle are under great protection. To schedule a service appointment, or to learn more about the services we offer, contact us anytime during business hours at (214) 352-0815. We service BMW, Mercedes, Jaguar, Land Rover, VW, Porsche, Audi, Volvo and more. NEW CUSTOMERS UP TO $ 150 SAVINGS! Kendall and Rob are tremendous. They have worked on our Toyota, Kia, Chrysler, and Land Rover. They are always honest and fair. Highly Recommend! Professional and honest. I was delighted to be worked into their schedule on my day off. The mechanics here only do what you need. That is exactly what I want, simply only what I need.